Note on Musicians: Some seemingly “no-name” musicians may actually be well-known musicians in disguise. For example, Fletcher Henderson often went under (with or without his consent) the pseudonym “Sam Hill” or “Dixie Stompers”. This was done by some unscrupulous musicians to avoid payments to their contracted record label thereby earning money on the side. Additionally, some labels would copy a hit record and release it under a different musician’s name, thus avoiding paying the musician more money. Note on Record Label: Generally speaking records that have a label (the sticker in the center) that is more ornate, decorative, colorful etc. may be worth more money. Note on Size: Almost all record companies experimented with different record sizes: 5inch, 8inch, 7inch, 9inch, 10inch, 12inch, and 14inch. Notes on Color: Generally speaking records pressed in red or that have a predominantly red label are the classical series while records pressed in green or that have a predominantly green label are the ethnic or foreign series. Notes on Record Type: Vertical Cut records is where needle picks-up sound along the bottom of the record. The sound is determined by the depth of the grooves. A Lateral Cut record where the needle picks-up sound in a side-to-side motion across the record. 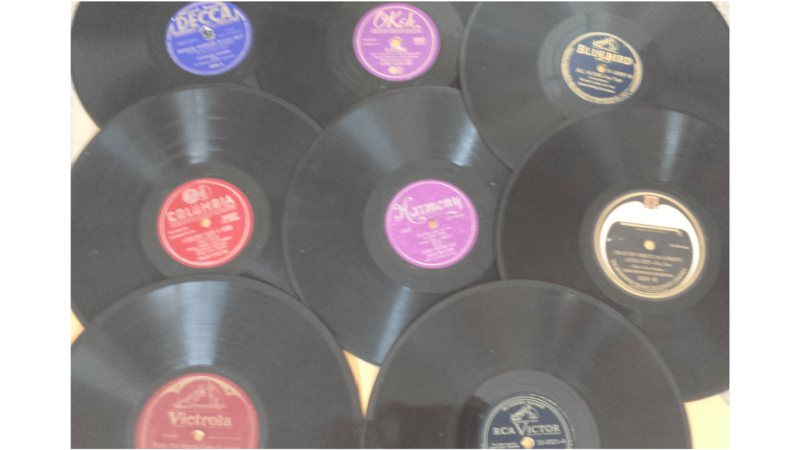 Notes on Collecting: 1910s/1920s blues music can be highly collectable. You know it is “blues” when the label says: Blues, Stomp, Shuffle, Foxtrot as part of the song or includes Banjo, Guitar, Harmonica or Jazz on the label. Blind Blake, Son House, Skip James, Blind Lemon Jefferson and Charley Patton can all be found on Paramount Records. See: http://www.jazz-on-line.com/ for a source of downloadable pre-WW2 music that could’ve been heard on the radio.